Hello, I am a 34 year old mother of 3. What motivated me to lose the weight? 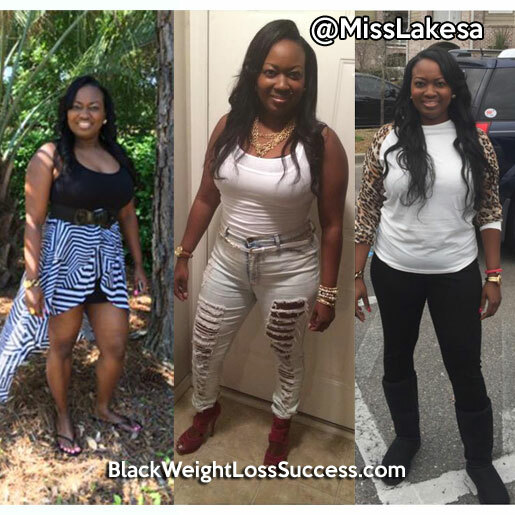 I wanted to live a healthier lifestyle and knew that I was considered overweight for my height (5’3″ tall). When the new year came in I decided that this year would be the year I set a goal and stuck to it. My inspiration? My children. They’d seen and heard me battling and complaining about my weight for so long that they would suggest things to help me lose the weight. So, I promised them and myself that I was going to do it and stick to it. I shared all my weigh-ins with them, good or bad. Some weigh-ins I lost nothing but celebrated the fact that I didn’t gain either! Changing my eating habits wasn’t as hard as I thought it would be. I now snack on fruits, vegetables and I try to count calories. My Fitness Pal and Jawbone Jump are my best friends at this point. I set a goal of 10,000 steps daily and I work out at least 5 times weekly. I workout while I’m watching television to keep my mind off of what I’m doing. It’s now become a habit and once a week my son and I work out together. I stopped drinking sodas. I also stopped eating white rice, fried food, beef and pork. I started drinking more water. I haven’t gotten to 8 cups a day yet but I am still trying to get there. I only eat fish, shrimp or chicken. Everyday isn’t easy. There are days I’m lazy. There are days I don’t work out my full hour. Even days that I want to eat fast food. I had to learn the hard way that when your body is no longer used to eating certain foods, and you eat it, your body rejects it! It took me one time to make that mistake! My starting weight was 181 pounds and as of yesterday I’m at 151 pounds! My goal was 30 pounds so I’m excited about meeting my goal, but my ideal weight for my height (5’3″) is 140 lbs so I’m going to push until I get to 145 lbs. I started this journey in January, so I’ve lost 30 pounds in 4 months. My advice for others losing weight? DON’T give up. There will be days you fall off but just keep pushing and celebrate all your milestones! I would set a weekly goal of four pounds sometimes, then work out hard that week. I would weigh in and be disappointed because instead of 4 pounds, I lost 2 but I still celebrated. Keep PUSHING! keep up the good work you look amazing.